Amanda Rowe has been a freelance writer for quite a while. She has published poetry, numerous non-fiction articles, and has a blog on her website, www.amandarowewrites.com. 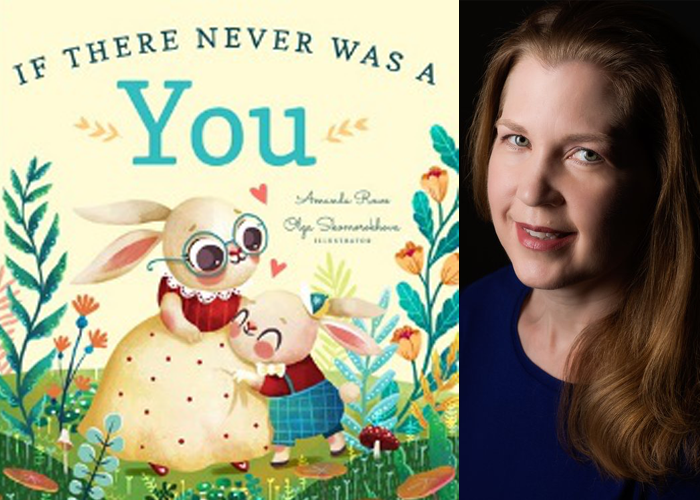 Her first picture book, If There Never Was a You, (Familius Books) debuted March 1. We are thrilled that she is sharing details about the book and her writing journey. Tell us a little about your book, If There Never Was a You. I was home alone one day missing my children, and reminiscing about the fun we have had together. I started thinking about all of the things that I would have missed out on if they had never been born, and I wrote it down. I thought that this book would be an excellent way to tell them how much happiness they have added to my life, and how thankful I am to be their mother. 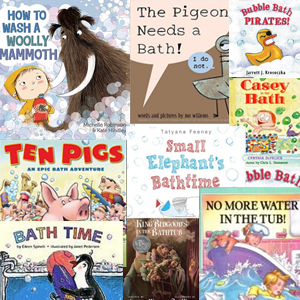 Many picture books feature animals as the main characters. What made you decide to use rabbits as the characters for this story? I can’t take credit for the bunnies. The illustrator made that decision because the book had a spring release date, so bunnies seemed an appropriate seasonal choice. But I agree with her completely; I think the bunnies are adorable and she did a beautiful job on the book. She’s a gifted artist. While you have been freelance writing for a while, this is your first time working with a publisher. What was the process finding an agent and publisher? I was fortunate that Familius was one of the first publishers I approached with this manuscript, and they picked up If There Never Was a You right away. 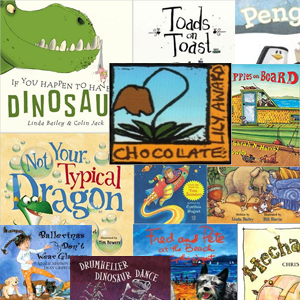 I didn’t know much about Familius at that time, but now I’m so thankful to be working with them because I believe in their mission of making families happy, and I think they create visually stunning books. Also, their staff is fantastic. Everyone works hard, but they are also genuinely nice people that I enjoy dealing with. So they have made this whole process a pleasure. I don’t have an agent yet, but I am hoping to get one soon. I am wearing a lot of hats right now, and it would be wonderful to have some help with the business end of things so I could focus more on writing. What do you think holds back aspiring writers? Fear. Fear of rejection, fear of failure, fear of being ridiculed or labeled not good enough. Everyone has insecurities, and it’s hard to put your work out there. It makes you vulnerable, and vulnerability requires courage. You have to be confident in your self-worth and keep that separate from your work. I know so many people who have a project that they won’t finish or submit because they are afraid of embarrassment. Perfectionism is crippling. It is important to work hard and revise to the best of your ability; there is no excuse for sloppiness. But if you have done your personal best, at some point, you need to be finished with that project, submit it, and move on to the next thing. Otherwise, you will never get anything accomplished. Every time I consider publishing something I’ve written, I ask myself this question: will this piece comfort, entertain, educate or inspire someone? If the answer is no, I don’t try to publish it. Writing should offer value to the reader; I want my words to help people either by making them laugh, making them feel less alone, or giving them hope. Words have power, and it’s important for me to use that power to build people up, and not tear them down. Life is hard but if we support each other, we can make it easier – and more fun – together. I don’t have a specific time each day that I write, because I am juggling a full-time job, a busy writing career, and raising two children, so I have to write any chance I get. I get most of my writing done on the weekends that my children are with their father, but I also write on my lunch breaks, in the evenings, and sometimes even in the morning before I go to work. You are quite a busy lady. With a full-time job and several ongoing hobbies, do you find it difficult or refreshing to sit down and write? Have you have gotten writer’s block? I am very busy, but writing makes me happy, so I make time for it. I haven’t gotten writer’s block per se, but I have had times when I wasn’t sure what to write about next. Inspiration comes to me sporadically, and when it strikes, I will use whatever means necessary to document it so I don’t forget it. I’ll write the idea in the notes app on my phone, or make a voice recording, or scribble it on a napkin in a restaurant if I have to. Anything to make sure that I don’t lose it, because when I have an idea, and I sit down to write, the first draft flows easily; it’s the revising part that is tricky. I think of writer’s block more as fear of the blank page; the best way to overcome it is to start typing. Don’t worry about the details in the first draft; just get something on the page. The blank page is much less intimidating when you’ve got some words on it! That’s a terrific question! Perhaps A Magnificent Disaster because I have faced some painful challenges, and my life hasn’t turned out at all the way that I planned, but it’s still a pretty great life. Great article, Amanda!! Love your book! !